This three day weekend I am soaking up time with The Rose and cleaning my home. In doing so I wanted to share a small little upgrade I've been adding to my kitchen. A few months ago I bought these cute little chalkboard stickers at the $ store. 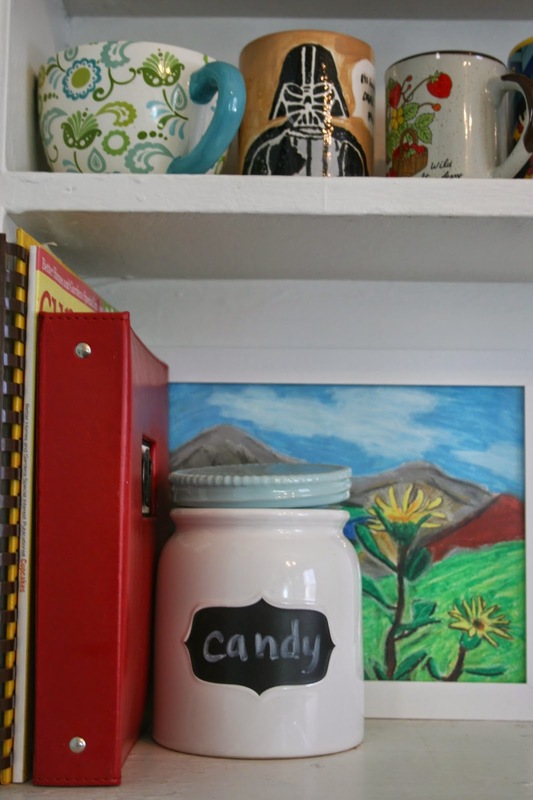 Combine that with chalkboard markers, and you've got yourself some happy labeling organization! I may see a trend going on in my home. Enjoy this beautiful day, friends!